Sierra Quitiquit in a scene from the 2016 Mountainfilm documentary Sierra Quitiquit: How Did I Get Here. In response to perennial feedback that audiences can’t catch every film and special guest during its jam-packed Memorial Day Weekend festival, Mountainfilm offers encore screenings of festival favorites throughout the year in Telluride. And the upcoming event has an added bonus: special guests and film subjects Sierra Quitiquit and Coffin Nachtmahr will be in the house. Mountainfilm’s community screening on March 23 will include the feature-length documentary Sierra Quitiquit: How Did I Get Here, the short film Throw and Q&A sessions with both film subjects. The event starts at 6 p.m at the Telluride Conference Center; tickets, $20 for adults and $15 for children, are available online or at the door. Throw, a short that won the 2016 Festival Director’s Award, tells the incredible story of Nachtmahr, a young man who grew up surrounded by challenges in East Baltimore before discovering a lifeline in the unlikely yo-yo. Nachtmahr attended the 2016 festival, where he was a total hit with audiences. Sierra Quitiquit: How Did I Get Here, meanwhile, is an intimate portrait of the travails and triumphs of Quitiquit, who is best known as a professional skier and model. This coming-of-age film follows Quitiquit from humble beginnings to far-flung adventures, through heartbreak and exploration and, ultimately, a place of real growth. Along with the films, Mountainfilm will auction off a yo-yo session with Nachtmahr and a ski session with Quitiquit (both scheduled to take place on Saturday, March 25), as well as a pair of Wagner custom skis. 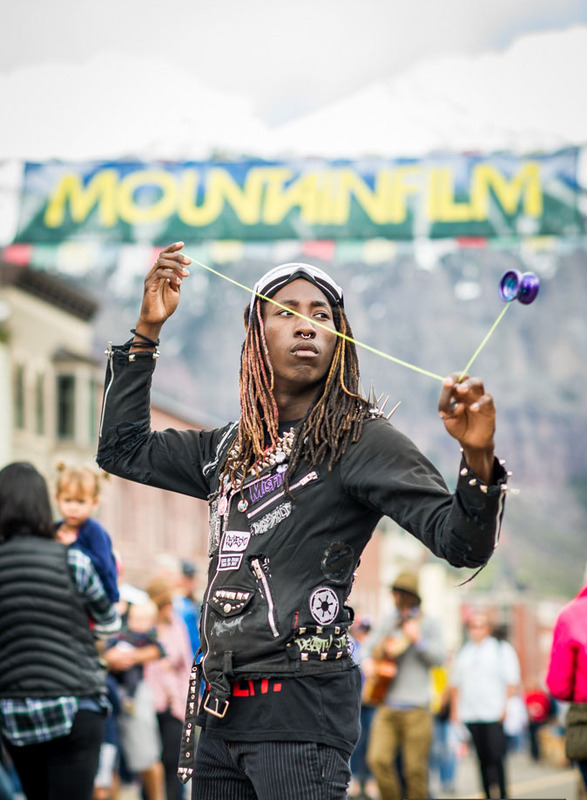 During their trip to Telluride, Quitiquit and Nachtmahr will also spend and afternoon with students of Mountain School, talking, skiing and yo-yoing with kids in grades 1-12.